Fishing this week has been excellent for Large breeding snook near local inlets and surrounding bays. Live bait fishing is going to produce the most fish & bigger fish. Tarpon fishing remains steady in beds in channels bays etc. Fishing larger live baits or dead cut bait on the bottom for desired results. Heavy leader & stronger circle hooks recommended when targeting tarpon in late summer & fall. Snapper fishing has been ok fishing around structure. Limit 5 per person and a 10″ min size limit for mangrove snappers when fishing inshore. Big jack crevelles are roaming around our inlets an bays. Large topwaters will make for an explosive topwater bite from these ferocious predators. Again make sure you beef up your tackle, these fish are 10-40lbs on average during summer months. Fishing local nearshore reefs & wrecks this week we can expect to see plenty of Cobia, bonita, kingfish, snapper, progies, almaco jacks, sharks, & goliath groupers. Fishing live greenies will ensure plenty of kingfish & bonita bites. Keep a cobia jig handy just incase one of those tasty brown critters swims up boat side. Drop a bonita down to the bottom on heavy tackle for some goliath grouper action. Remember these fish are protected so it is illegal to take them from the water(catch & release only). Bottom fishing with chicken rigs is a sure fire way to catch some lanes, vermilions, grunts, porgies for the dinner table. 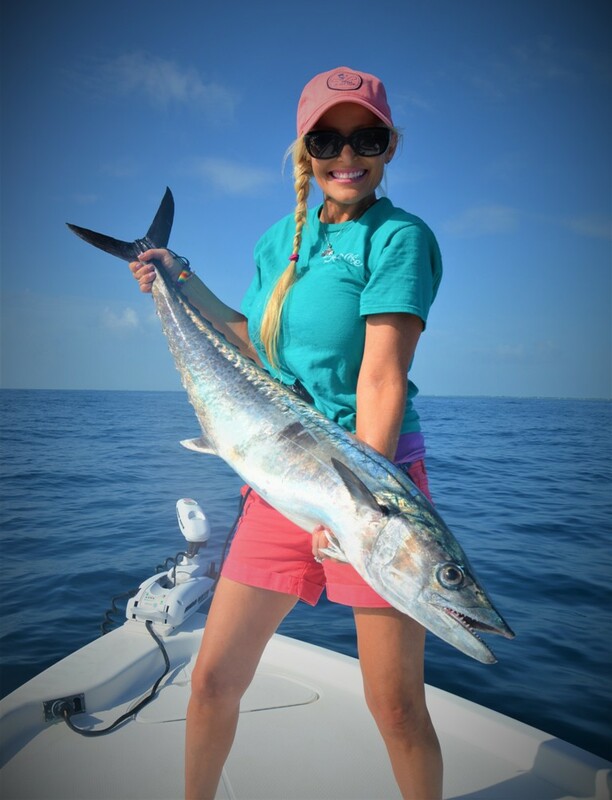 Fishing offshore has been steady for sailfish, blackfin tuna, mahi, bonita, & kingfish. Slowtrolling live greenies or bluerunners has been you best shot trolling this week. trolling dead ballyhoo is a close second if you don’t have the time or cant find any live bait for the day. Trolling in 90-280′ has yielded the best action over the past few days. if your mahi fishing you may have to run 15-30 miles out to find any concentrations of mahi during summer months. Sailfish have been steady in 90-160′. Kings are all over 70-90′ depths. Bottom fishing in 70-140′ will produce plenty of food for the dinner table. Grouper, snapper, porgies, ajs have all been plentiful if you are marking life on the bottom. Chicken rigs and fish finder rigs will ensure plenty of bites from the bottom.